A 60 min energising vinyasa class that is suitable for all levels with a focus on stretching and moving to get the body warmed up and ready for the day ahead. Yoga foundations is our beginners class and is suitable for anyone who would like to visit the foundation principles and alignment of an asana (physical) practice as well as touching on the yogic philosophy behind the practice. This class will give you the confidence and know-how to join our general level vinyasa classes when you are ready. The perfect class if you are transitioning out of our foundations classes or you are not feeling like a faster paced vinyasa class. 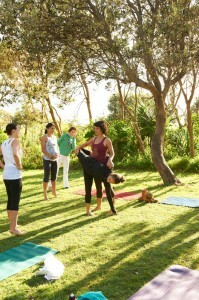 You can still aspect a beautiful flowing practice but at a slighter slower pace and lots of focus on alignment. Our general vinyasa classes are suitable for all levels and focus on linking yoga postures in a flowing sequence that enhance our bodies, minds and lift our spirit. You can expect to walk away feeling rejuvenated and energised! Merging radically fluid asana and an awesome playlist into a dynamic, devotional dance, Lotus Flow Yoga delivers a physical and spiritual high. Our Offerings guide you to unleash the asanas within and challenge you to go deeper. These are more dynamic classes, some experience of yoga is essential and these classes are NOT suitable for those recovering from injuries or illness. We would suggest coming to our vinyasa classes before stepping into Lotus Flow. 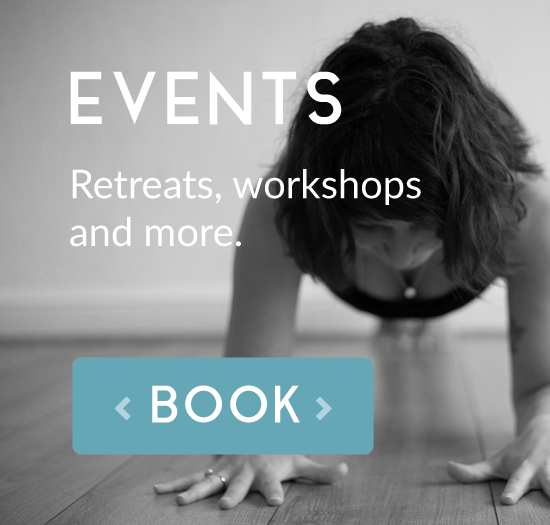 On a Friday evening join Caro for a candlelit class to end your working week. Combing dynamic vinyasa to get your heart beating with some deep yin poses to help you release the tension of your week in both your body and mind. Our men’s only class does what it says on the tin! The class will focus on the foundations of yoga as well as exploring the poses that stretch and strengthen the male body where it needs it most. Suitable for all chaps, and especially those who practice another sport – surfing, running, cycling, football and rugby – and need a little help repairing tight muscles and old injuries. Come home to yourself. A deeply nourishing class combing supported restorative yoga poses, meditation, pranayama and yoga nidra. This class will allow you the space and time to connect deeply with yourself. Therapeutic yoga is helpful for anyone who feels that coming to a general class is too demanding for them at the moment but they would love/need to move their body and feel more energised and relaxed. This may be because you have lost confidence, you have been ill and are in recovery or you have injury. We work with a range of movements and props to safely develop stability, function, strength and flexibility. This class is aimed at women of all ages who would like to focus more on practices suitable for the changing stages of women’s lives. We work with those areas that can be particularly vulnerable for women from menarche to menopause. Expect a relatively gentle class with practices to maintain/ develop, stability, pelvic health and general wellbeing. Full use of props to provide support where necessary.